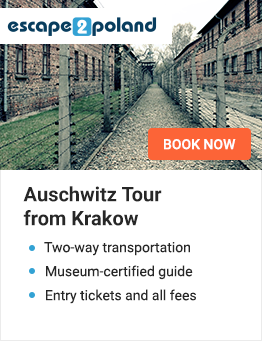 The Auschwitz Camp is one of the most frequently visited places in Poland. Every year millions of tourists from the country and abroad come here to meet one of the darkest pieces of human history. 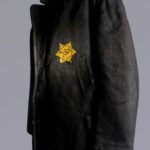 Auschwitz I and Auschwitz II Birkenau are very well-known. 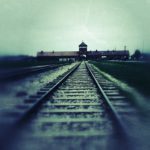 There are not many people who haven’t heard about “Block 10” in Auschwitz or the crematories and railroad ramp in Birkenau. 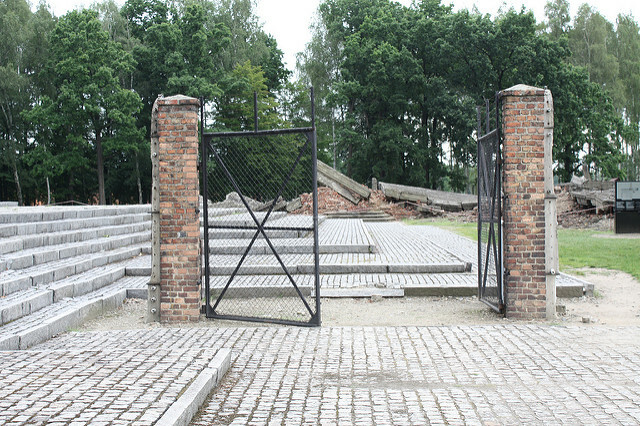 However the Nazi extermination camp in Oswiecim has one more part. Maybe the most important one. Auschwitz III Monowitz was one of the first and the biggest sub-camps of KL Auschwitz. 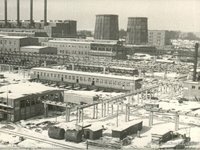 At the beginning it was to become a factory for the German company IG Farben located in Oswiecim, which had been producing synthetic rubber and liquid fuel. 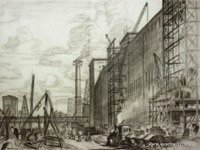 Authorities of the company decided to benefit from the nearness of the Auschwitz camp and they signed a contract with the SS which allowed them to use prisoners as a cheap labour. 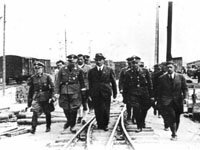 Due to the forced labour in Auschwitz III Monowitz about 10 thousand prisoners died. Furthermore, they were tortured to death by guards. 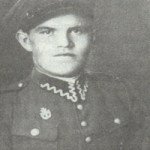 Those who weren’t able to work any longer, were transported to Birkenau and murdered in gas chambers or by Phenol injections to the heart. 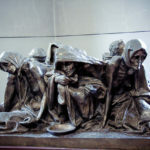 It’s really hard to say what was worse, to die immediately in a gas chamber after the transportation to the camp or to be tortured, live in inhuman conditions and work as a slave. 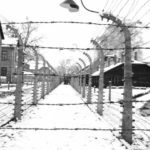 Auschwitz III Monowitz is the most obvious proof that the power of Third Reich was built upon suffering and slavery. Hiya, I’m really glad I have found this information. Nowadays bloggers publish just about gossip and web stuff and this is actually irritating. A good site with interesting content, this is what I need. Thanks for making this website, and I will be visiting again. Do you do newsletters by email?